DESCRIPTION Sophisticated Living in Bonavista! Beautiful, bright and tasteful unit in the desirable Lake Fraser Green. This unit includes a/c, new laminate flooring, 2 bedrooms and 2 baths. The large windows allow in cheerful natural light throughout. The master bedroom features double closets and a perfect en-suite with his and her sinks, soaker tub and separate shower. The open floorpan offers functionality and the perfect space for entertaining. Enjoy the sun on the covered, SW facing balcony! Unit includes an additional separate storage space. Bonavista Estates offers endless amenities including a theatre room, fitness studio, social/party room, underground car wash, secure underground titled parking, and more. The community of Bonavista has long been recognized as one of Calgarys most established and desired neighbourhoods. Convenient access to great shopping, dining, public recreation, transportation and more! Home for sale at 1313 Lake Fraser Gr Se Calgary, Alberts t2j 7h6. 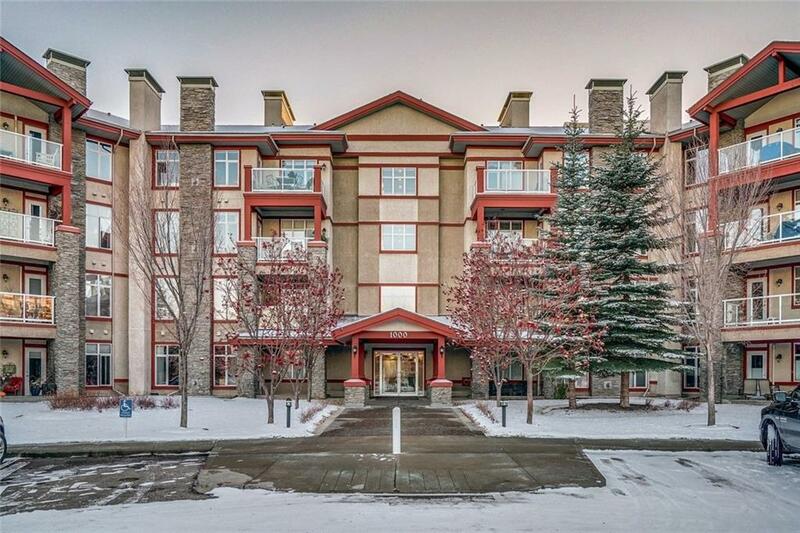 Description: The home at 1313 Lake Fraser Gr Se Calgary, Alberta t2j 7h6 with the MLS® Number C4220958 is currently listed at $349,900.